Immerse is an exciting wellness space that opened its doors in October 2018. 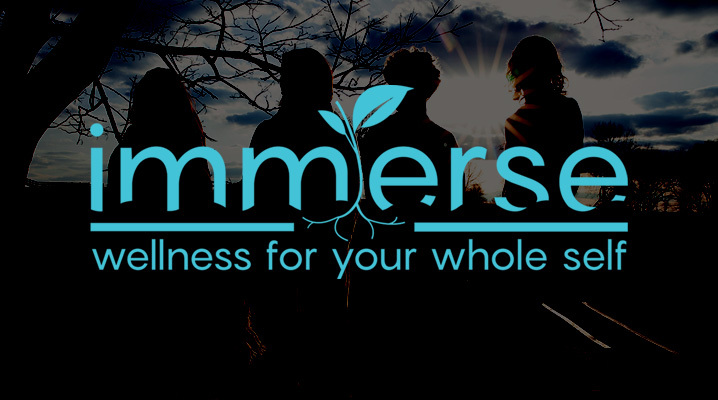 Located in Lancaster County, Pennsylvania, their unified team of wellness professionals work to help you reach healthy lifestyle goals. Their space has been uniquely designed to serve clients by giving them a respite of peace from the outside world. Mobile: People are 5 times more likely to leave your website if it is not mobile optimized. A mobile optimized website is one of the most critical business decisions you can make. It will not only work better for your SEO, but your clients will appreciate it, too! There are a many factors that Google looks at to determine how well your website functions on mobile devices. Contact us and we will give you a FREE Mobile Optimization/Readiness Assessment. SEO: In 2017 it is no longer enough just to have a nice website; you need a website that performs well and is easy to find. It is important to have a web designer that is knowledgeable with SEO so that your website functions the best it possibly can. Make sure your web design company can handle your SEO needs. ddZ Digital Marketing Agency integrates your SEO efforts throughout your online presence to generate the most effective SEO program and results. Outsourcing: Ask web design companies if they do their own programming and web design work. Many companies don’t do the actual work themselves and instead outsource to other companies or overseas. At ddZ we do everything in-house, so we can guarantee the quality of our work. Brand Identity: To communicate the strongest message, your branding should be consistent in all aspects of your business. ddZ provides expertise in brand identity from logo creation, printed materials, web design, to a brand style guide. When comparing Lancaster PA web design companies, you will find ddZ to be your best choice for digital marketing, including web design, mobile optimization, branding, and Search Engine Optimization (SEO).